The 2016 Big Mountain Enduro Finals were held this past weekend in one of the birthplaces of mountain biking, Crested Butte, Colorado. 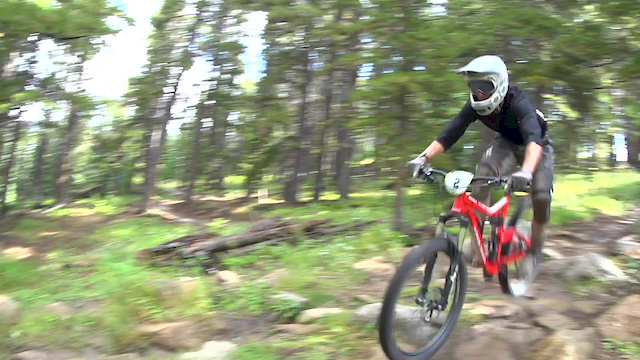 The Gunnison Valley is surrounded by 750+ miles of the most incredible trails in the country, from downhill tracks at Evolution Bike Park to endless singletrack in the alpine. With more than 50 miles of racing last weekend, 18,000 feet of descending and wet weather, this was one of the most challenging stops of the BME series. Thanks to all of our sponsors and riders for supporting this amazing race series. We are stoked for the upcoming 2017 season, but more stoked to see you in Mexico for our NAET Finals this coming November. That edit has me wanting to load the truck up and head to CB stat!!! Fun video. Team Rude boy with a "watch out, leg out" steeze.